Despite the blizzard experienced in NY (total of 36 inches in Manhattan), we still handed out meals to about 170 people! Rain, sleet, or snow, (and 100% humidity), our program continues. For the upcoming holidays, Friends in Need is fulfilling holiday wish lists from more than 100 children in the San Fernando Valley area. Families will be given food packages as well. These families we are supporting have successfully transitioned from being homeless, although a little bit more assistance is needed. We could still use additional support. If you would like to donate or volunteer, click here. Thank you! Winter essential give aways. We’re giving winter essentials (hats, gloves, socks) in all the areas where we hold feeding programs. See our Locations & Schedules page for specific locations and times. Gift Giving at the Phoenix Center, NJ, a school for children age five through twenty-one with autism, emotional challenges and multiple disabilities. Christmas presents and food packages in California. 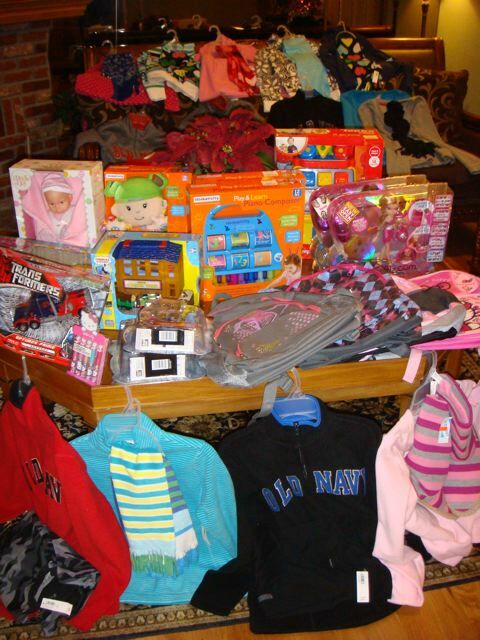 Friends in Need has adopted approximately 50 formerly homeless families and will be providing Christmas presents for the children and food packages for each family. Let us know if you would like to donate or help out! Read the NY Daily News article, “Everyone deserves a warm Meal and that’s what we’re providing,” featuring Scarlett Mendoza, President of Friends In Need Foundation. Volunteer with Friends in Need! Over 40,000 meals provided in 2016!